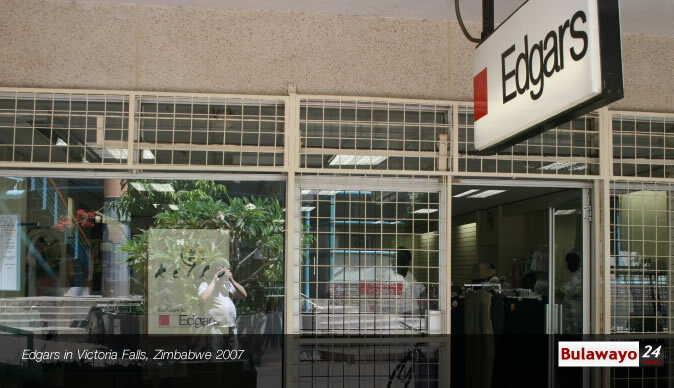 EDGARS Stores Limited has retrenched 90 workers from its Bulawayo branch citing a tough business operating environment. A senior director at the company, Mrs Linda Masterson, confirmed the development in an e-mail response to Business Chronicle. She said the giant clothing retailer has been experiencing tough financial times, hence the decision to cut their staff complement. "The overall purpose of the exercise is to ensure the continuity of the business, which has been making losses for a few years now. The employees affected by this exercise are those whose jobs the business can temporarily freeze while it implements its turnaround strategy," said Mrs Masterson. "Indeed, we took the welfare of staff into account. In addition to the minimum legislated package, we paid extras specifically addressing the matter of staff welfare. You will appreciate that we are not at liberty to discuss intimate employer-employee issues in the Press. Please note that all what has been done is in full conformity with Zimbabwean laws." Business Chronicle was shown some scanned documents from company management advising staff that 90 people must go on voluntary retirement before June 11 or face forced retirement. Affected employees who spoke to this newspaper said only six people had opted for the voluntary retrenchment package, forcing the company to lay off 86 employees. Reads part of the documents: "The business continues to face a difficult operating environment. In the circumstances, it is imperative for strong measures to be taken to ensure that the business does not fold. Consequently, staff is invited to apply for voluntary retrenchment". According to the availed documents, conditions of the stated retrenchment include half a month's back pay for every year served, a long service award where its due in 2018, staff account write off for purchases until May 31, 2018 and assistance in loan repayments. The reported threat of job cuts comes barely a week after the company had signalled positive prospects with plans to resume exports. Disgruntled workers who spoke on condition of anonymity expressed their shock over the employer's decision, which they said was unilateral and feared for their welfare. "We had just been hearing it in the corridors that we were being watched and that some of us were going to go home. We were only addressed last week but still the criteria of who is going to be retrenched or fired is still unclear. It is worrying," said one of the general workers. A female staffer hoped her job was safe. "My husband is unemployed and I am the only breadwinner in the family. We have three children at school and I cannot afford to lose this job. I hope the company will be sensitive enough to consider the plight of us workers before turning us away. We have nowhere else to go because the economy is bad," said the worker. A workers' committee representative said: "We fear for our jobs. They said anyone who comments in the media will be the first in the firing line. It becomes difficult to represent the workers as we are now easy targets".